Institute for Public Relations and the University of Florida College of Journalism and Communications are presenting a free seminar on Oct. 11 that discusses ways to boost the number of women in leadership positions in the PR industry. 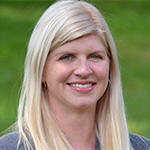 In the webinar, Institute for Public Relations president and CEO Tina McCorkindale and KPMG’s Megan Dubrowski and Rebecca Rickert will share findings from the soon-to-be-released first round of a two-part IPR and KPMG study on women and leadership in the PR and communications industry. The findings are based on a series of focus groups that KRMG and IPR conducted with female and male executives and mid-level leaders, in both agencies and corporations, to find out their views on mentorship, leadership, work-life integration, workplace policies, and their ascension to the top. To register for the webinar, please click here. Gail S. Thornton, president and chief communications officer at Worldview Communications, received the PRSA’s Atlas Award for Lifetime Achievement in International Public Relations at the organization’s 2018 International Conference in Austin, TX last weekend. 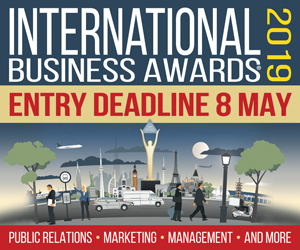 The award recognizes a public relations practitioner who has made extraordinary contributions to the practice and profession of public relations in an international environment over the span of his or her career. In addition to running Worldview, a consulting practice with a focus on pharmaceuticals/healthcare and biotechnology, Thornton is a published author on topics relating to international communications, emerging markets, scientific and medical advances, and patient advocacy. 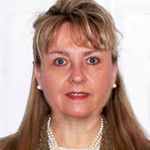 She is also a co-editor and contributing author of two textbooks. C.L. Conroy, president and founder of The Conroy Martinez Group, was presented with the Bill Adams PRSA Lifetime Achievement award at the 2018 EV Clay / PRSA Miami Chapter Endowment Fund Luncheon on Sept. 21. The award is given to industry leaders who have been in the pubic relations field for at least 20 years, demonstrated dedication in advancing the profession and have embodied the ethical characteristics represented by Professor Bill Adams’ career. Adams was an associate professor of advertising and public relations at Florida International University as well as a longtime PRSA supporter. Conroy is currently president of the Public Relations Global Network. 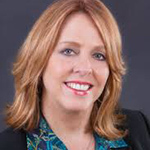 She is also a past president of PRSA and is on the board of directors of the Greater Miami Chamber of Commerce. Solomon McCown celebrated 15 years in business on Sept. 27. The firm’s CEO Helene Solomon (pictured right) and president Ashley McCown (pictured left) expressed their gratitude to a gathering of clients, family and friends. Based in Boston with an office in New York City, the agency is known for its integrated approach and leverage of traditional and digital media, government relations and crisis management in such sectors as healthcare, education, housing and real estate. 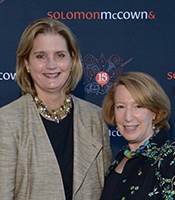 At the celebration, Solomon and McCown shared their enthusiasm for the future of the agency as it continues to frame the dialogue at the intersection of business and policy.